Home > Glaucoma > Am I at Risk for Glaucoma? The simple answer is YES. Everyone is at risk for glaucoma. However, certain groups are at a higher risk than others. 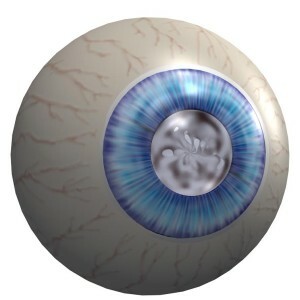 Glaucoma is six times more likely in People Over 60. Glaucoma is six to eight times more common in African Americans than Caucasians and is the second leading cause of blindness among people of African descent. Glaucoma is four to nine times more likely if you have a Family History. If you have primary open-angle glaucoma, the most common form of glaucoma, there is approximately a one-in-five chance that a close relative also has glaucoma (Glaucoma Associates of Texas). People of Asian Descent are at an increased risk for angle-closure glaucoma. Risk for normal tension glaucoma is increased in People of Japanese Descent. Hispanics are also at an increased risk for glaucoma. Incidence of ocular hypertension and open-angle glaucoma increased by 40% in Steroid Users, according to a 1997 study reported in the Journal of American Medical Association. The risk of secondary glaucoma increase with an Eye Injury. In order to fully understand your individual risk for glaucoma, it is important to visit your eye doctor – optometrist or ophthalmologist – regularly. The Anne Arundel Eye Center is a regional leader in the diagnosis and treatment of glaucoma. Over the years, board certified ophthalmologist Dr. Samuel Boles has helped restore and preserve thousands of patients’ vision. Dr. Boles will diagnose your specific condition and make recommendations for treatment and future glaucoma management. We are dedicated to making the best eye care accessible to everyone! If you have any questions Glaucoma Risk Factors or wish to schedule an appointment with Anne Arundel Eye Center, please contact Board certified ophthalmologist Dr. Samuel Boles, Dr. Kathryn Gurganus Turner, and the eye care specialists here at AAEC by calling 410-224-2010 or visiting AnneArundelEyeCenter.com today. You can also follow us on Facebook, Twitter, Google+, and YouTube as well!